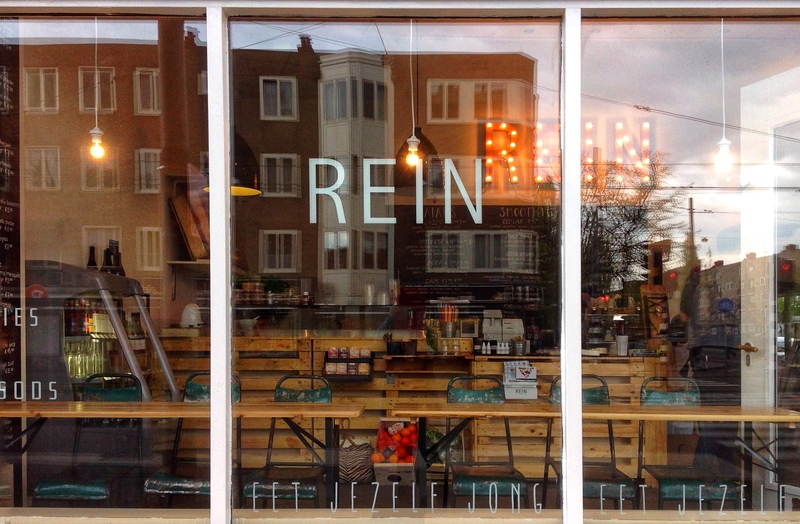 Rein Food is a delightful and trendy take-away and catering in Amsterdam, where you can also eat in. 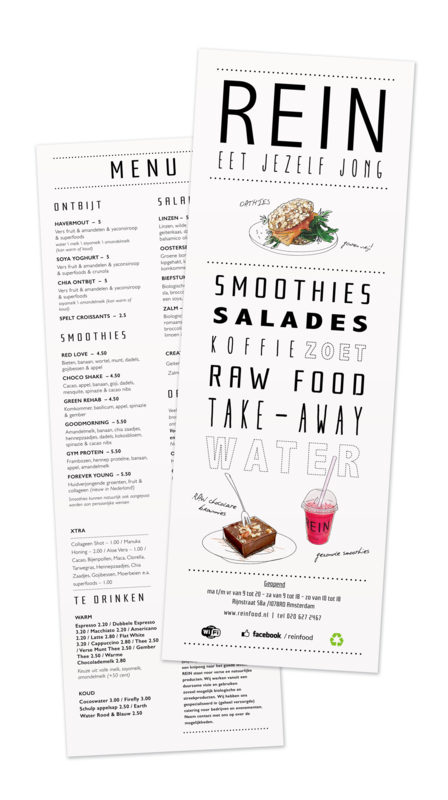 Rein Food sells salads, healthy smoothies, super foods, and loads more. It has become a hotspot within a short time, featured in blogs, papers and some Dutch famous persons have been spotted here too. 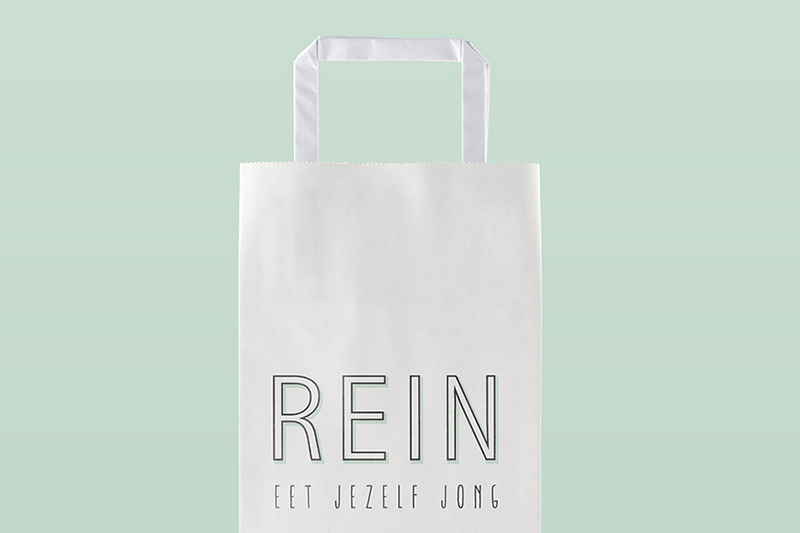 I was asked to make a super simple logo expressing the simpleness and pureness of their food and concept. 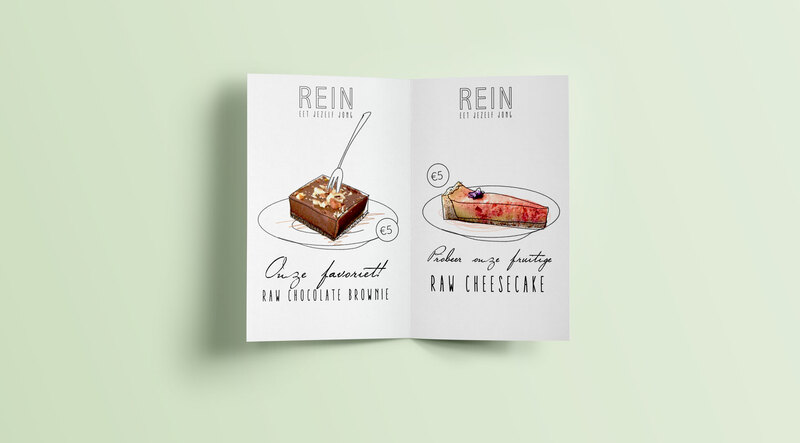 That said, a bit of fun is never amiss, so I have adde some quircky illustrations to go with the menu.